Online Recorded Webinar Course Parts 1, 2, 3 and 4 = £38 This is a beautiful opportunity to work with four Ascended Masters over a period of two months, devoting yourself to healing and reprogramming your four-body system. Saint Germain, Lady Quan Yin, Mahatma and Master Sananda wish to guide you to focus within your being with a powerful and intense focus on accelerating your ascension, healing old energetic patterns and allowing yourself to be born anew. Your energy is blossoming and activating with the presence of the ascension waves anchoring into the Earth, in order to fully experience the ascension process occurring now within your being and your higher aspects being embodied within your being there is a need to clear old baggage, negative thoughts, limiting emotions, any obstacles your soul and spirit may be experiencing and any patterns of pain and destruction within your physical body. Now is the time, with your own personal power and healing abilities, to cleanse your being, creating experiences of liberation and space within your four energy systems for new light, love and fulfilling encounters to manifest. Part 1 - Saint Germain and Your Mental Body Are you aware of negative or destructive thoughts? Do your thoughts run wild or cause you to feel fearful or sad? Do you wish to move through limiting thoughts of illusion and embrace loving truthful thoughts? Saint Germain will share techniques and practices to support you in healing and reprogramming your mental body to align your mental body with your higher self. Thus, allowing your mental body to restore itself and radiate the positivity and truth of your soul. Healing and reprograming your mental mind will positively imprinting into your physical reality creating peace and fulfilment. Once you have received Saint Germain tools and practice he invites you to use these for a month to transform your mental body. Part 2 - Lady Quan Yin and Your Emotional Body Experiencing the world in your everyday life you are constantly reacting to your surrounds, the people you experience and situations you find yourself in. Your reactions come from the library of feelings, emotions, wounds, past happiness and past pain that exists within your emotional body. Your reactions whether positive or negative are mostly drawn from the energies of your past experiences you have held onto. Lady Quan Yin wishes to spring clean the library of your emotional body, aligning your emotional body with your soul and higher frequencies. Thus, you will react from your centre, the essence of your being, allowing your reactions to be true and pure, supporting and loving yourself and others. Lady Quan Yin will share beautiful techniques and practices focused upon healing and reprogramming your emotional body, she will then invite you to devote yourself to the transformation of your emotional body for a month. Part 3 - Mahatma and Your Spiritual Body Stagnant or limiting energies held within your mental and emotional bodies are often the course of pain in the physical body or reality. However, your spiritual body can experience limitations which hinder your remembrance, expression of and embodiment of your spiritual energies, wisdom and abilities. Sometimes the energy of your spiritual body can be suppressed or weakened due to a negative situation. Being rejected as a spiritual being by others can cause pain or negativity within your spiritual body. Wounds can be so deep, or aspects of your spiritual body can be fragmented, so much so you are unaware of their presence and yet they impact your perception of your world. Your spiritual body can heal quicker than any other body. Mahatma, the Cosmic Logos, with his high vibrational frequencies wishes to guide you in experiencing this for yourself. He wishes to guide you in uncovering the wounds within your spiritual body and allowing the Creator to flow with ease and perfection through your spiritual body and entire being. Mahatma will share sacred and illuminating techniques with you for you to practice for one week. Due to the quick transformational nature of your spiritual body, a shorter time of focus is all that is needed. 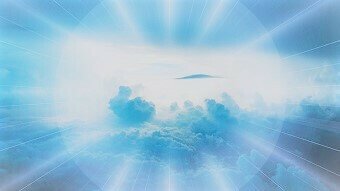 Part 4 - Master Sananda and Your Physical Body Master Sananda is the master of transforming matter to light and light to matter, he understands the physical body and wishes to guide you by sharing practices and tools to aid the rejuvenation and reprogramming of your physical body. For healing to take place within the physical body and etheric body, the mental, emotional and spiritual bodies must be cleansed which is the purpose of the previous parts of the webinar. This allows the physical body which often acts as a sponge to the energies of your other bodies to release the energies it has embodied thus experiencing liberation and transformation. Your physical body has its own inner knowingness which Master Sananda wishes to ignite while aligning your physical body to your soul and creating harmony within your entire being. Master Sananda will share with you tools and techniques which you can practice in your own time as guided by your intuition to aid the rejuvenation of your physical body. .